In order to understand how mirror box therapy works one first needs to understand a little bit about how the body senses the environment around it. You are familiar with the sensation of touch but do you realise how the body creates this experience for you? This map of the body is feed information about touch, pressure and pain by sensory nerve fibres which connect to the somatosensory cortex via a system of junction boxes (synapses) that begin at the entry of the sensory nerve in the spinal cord and complete in the integration of the ending of the nerve pathway in the somatosensory in the cortex. If a model of a man was made in proportion to how much attention was devoted in the somatosensory cortex to each part of the body the hands, for example, would appear to be 5 times their normal size. Following an amputation the sensory map of the body becomes “upset” and this upset manifests its self in the experiences of phantom pain and phantom sensation. Mirror box therapy as proposed by VS Ramachandran works by utilising the visual input of the mirror image of the good limb to replace that of the missing limb to suppress the “upset” in the somatosensory cortex and thus reduce phantom pain and sensation. 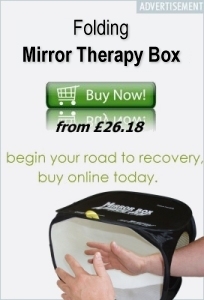 Mirror box therapy has also been shown to help and aid recovery from Complex Regional Pain Syndrome CRPS, also know as Reflex Sympathetic Dystrophy RSD, Sudeks Atrophy or Causalgia. In this condition it is now felt that part of the disease process occurs in the somatosensory cortex. When a limb becomes immobile it is thought that there is a disruption in sensory input to the somatosensory cortex which in turn begins to behave as it does in the phantom situation. 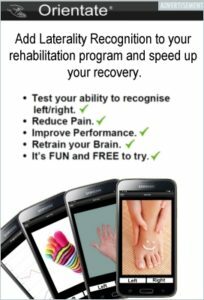 By performing your rehabilitation exercises within the mirror box using both limbs (one within the box and one in front of the mirror) and seeing a mirror image ( instead of the injured extremity ) working normally the somatosensory cortex is encouraged to normalise and the pain signals reduced. Patients recovering from surgery following trauma particularly involving the hand may find moving that hand difficult, part of this difficulty is thought to be due to the immobilisation upsetting the somatosensory cortex. Recent work has shown that using a mirror box as part of the rehab program can facilitate recovery.